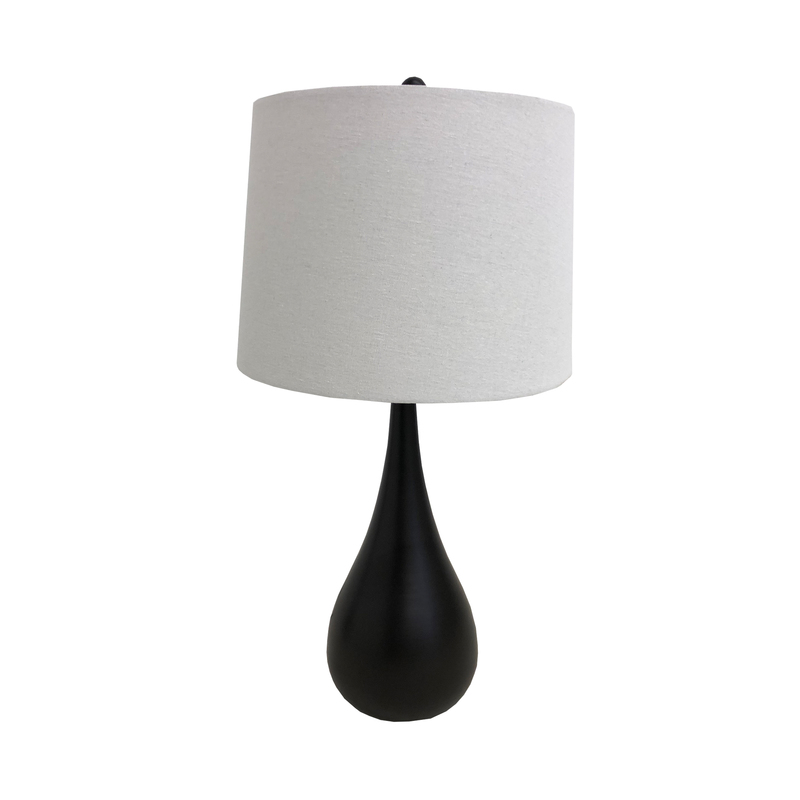 A sleek and contemporary lamp with a neutral edge. Base is a black metal with a linen off white round shade. 13" x 13" x 28.5"